With Christmas fast approaching we have picked the best and cutest for your bub from some of our favourite brands. So whether they are up and at it or still in bub-zone, here are some lovely back-to-basic toys for under your tree. 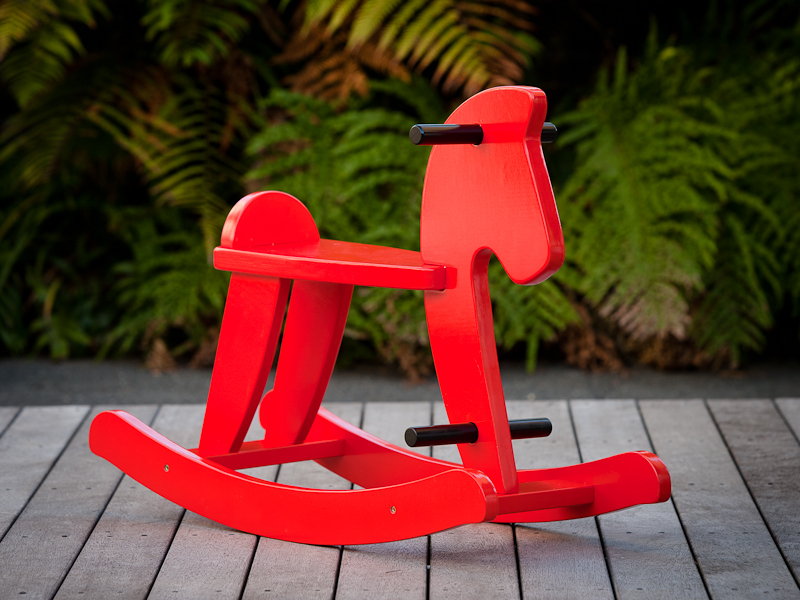 This timeless wooden rocking horse is a toy classic from Mocka, It comes in white or a very festive red, adding a great splash of colour to any room. And just think how lovely one will look under the tree. Grab it direct from Mocka for $49.95. 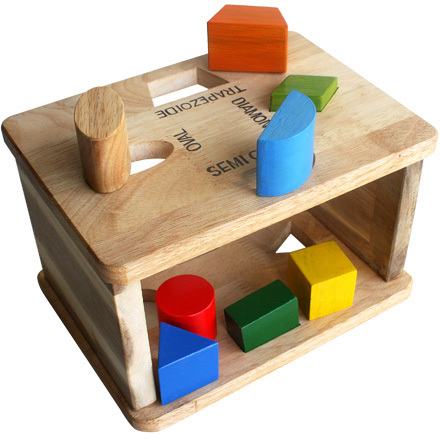 This lovely shape sorting bench from QToys will keep little hands busy. At $39.95, it’s made from hardwood and big enough to be used as a little stool. As a handy extra, the names of the shapes are printed on the top (great for shape-challenged parents). Cue hours of entertainment and fine motor practice. 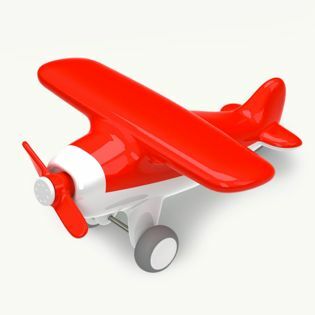 This cute Kid O Aeroplane is pretty enough to just sit on a shelf. But it won’t, the moving wheels and propeller are too tempting. This is a great, simple present for a boy or girl of any age. Crawlers can push it along the ground and bigger kids can swoop the furniture – and the grown-ups – to their heart’s content. It costs $29.95 from Scallyoop. 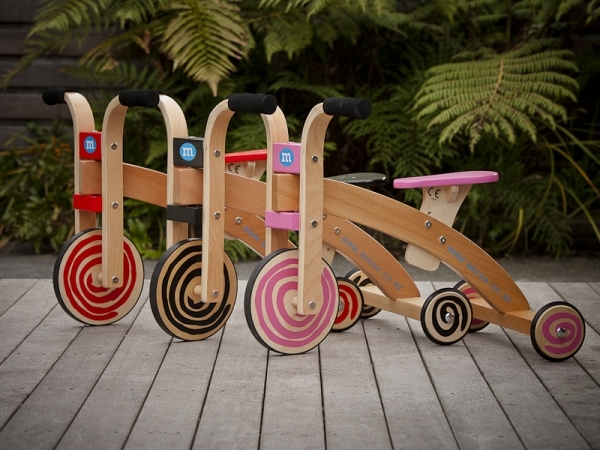 Mocka Cruise Trike is perfect for little ones not yet ready for a balance bike (when they are you can grab one from Mocka too) Cute, simple and great for building up those leg muscles and for gross motor control development, the wooden trikes cost $59.95. These Dwell Studio Puzzle Blocks are super funky. Basically this is playable art, featuring awesome typography, geometric patterns and stylised animal silhouettes. It’s entirely possible that hipster parents will enjoy these more than their children. 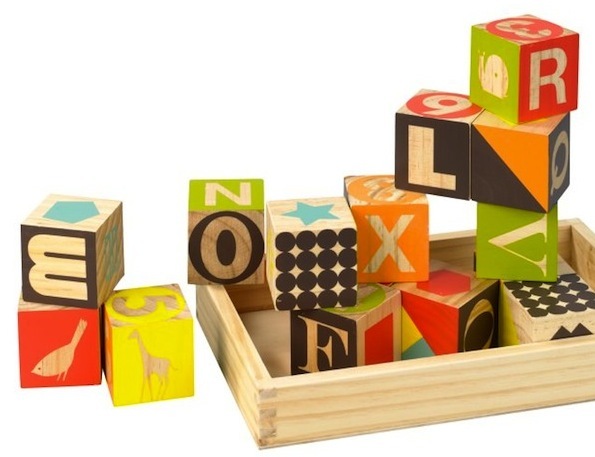 Awesome design aside, good quality wooden blocks are always a hit with toddlers and these are $55 from The Baby Closet. 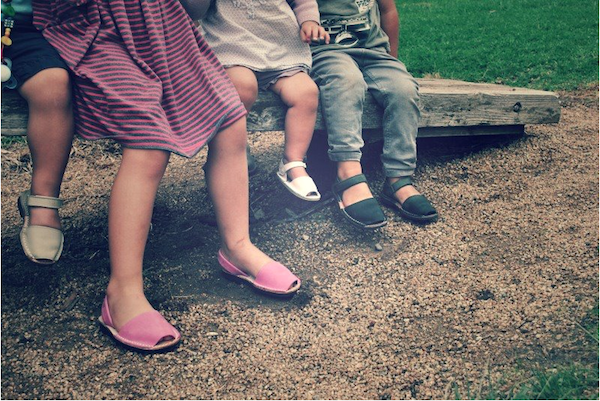 These gorgeous sandals from Avarcas USA are cute, come in lots of great colours and are super easy for children to get on and off thanks to the velcro fasteners. As an added bonus, the soles of these handcrafted-in-Spain sandals are made from recycled tyres so you get good karma with each pair. Buy locally from Red Nest. In our house everyone gets to open a gift on Christmas Eve, and it’s always new pyjamas. This year I will be putting in an order for Huckleberry Lane Pyjamas from Billy Lids. They have a great selection of light cotton PJs, perfect for those warm Christmas nights. They are on sale right now, starting from $28 at Billy Lids. We hope you are finding some Christmas inspiration with our gift guides – there’s plenty more ideas to come!